Sizing note – This sample is sized as a UK 12 but it fits more like a UK 10. 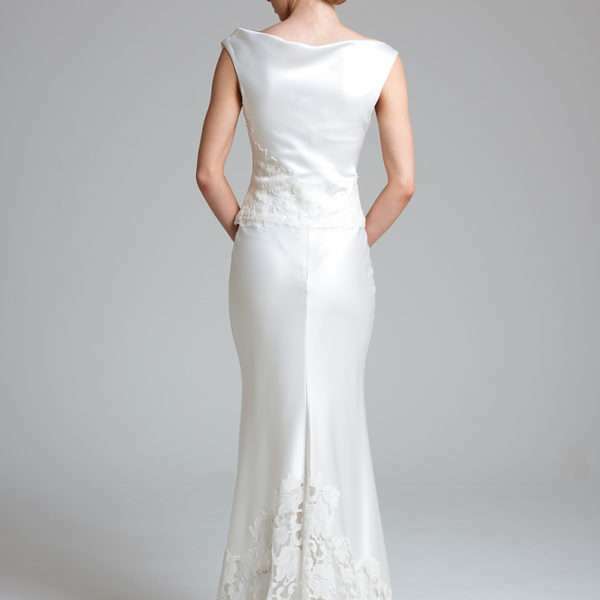 Therefore we are selling it as a 10 but would fit a bride to be size UK4 6 or 8 with alteration. What is a sample wedding dress? Blush Sample wedding dresses have not been used and are not second hand – but have been tried on by brides to be in our store. We only sell sample dresses we feel still have a “just like new quality” any small minor barely noticeable imperfections is reflected in the mark down price and indeed some of our sample dresses are almost perfect. 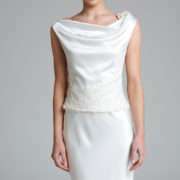 A great way to have the designer dress of your dreams with less cost.